Summer Wedding Inspiration | Couture Makeup Blog - Makeup Artist Serving San Diego and Orange County. Did you know coral is the color of the year? This courageous, confident, vibrant color dubbed “honeysuckle” by Pantone was named color of the year for 2011. 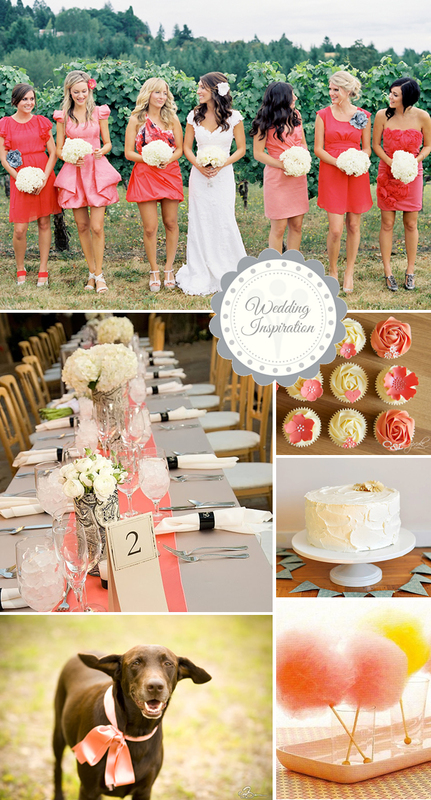 So it’s fitting that shades of coral make up this delightful inspiration board, highlighting the happy feeling of summer.